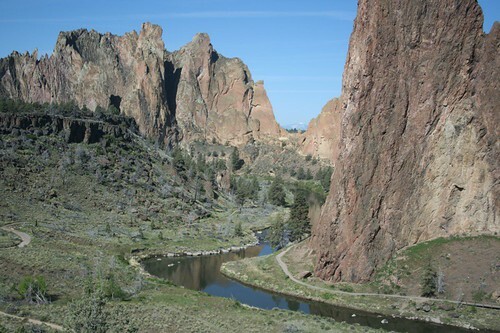 A rather Crooked River, originally uploaded by arahbahn. I brought the trail running shoes, thinking that on the “rest” day I’d go for a run. That didn’t happen, but at least they served me well as approach shoes. We also enjoyed some food and libations, at Simply Organic Cafe, Bend Brewery and Deschutes Brewery, in Bend, in addition to a few excellent home-cooked meals at the house. My photos can be viewed here. My friend Mike’s photos can be viewed here.